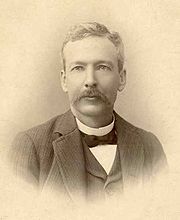 Luther Burbank was an American botanist, horticulturist and a pioneer in agricultural science. He developed more than 800 strains and varieties of plants over his 55-year career. Burbank's varied creations included fruits, flowers, grains, grasses, and vegetables. He developed a spineless cactus (useful for cattle-feed) and the plumcot. Burbank's most successful strains and varieties include the Shasta daisy, the Fire poppy, the July Elberta peach, the Santa Rosa plum, the Flaming Gold nectarine, the Wickson plum, the Freestone peach, and the white blackberry. A natural genetic variant of the Burbank potato with russet-colored skin later became known as the Russet Burbank potato. This large, brown-skinned, white-fleshed potato has become the world's predominant potato in food processing.